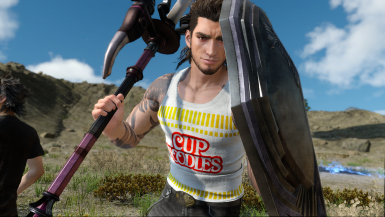 After having received several requests for an .earc replacement cup noodle shirt for Gladio, here it is! 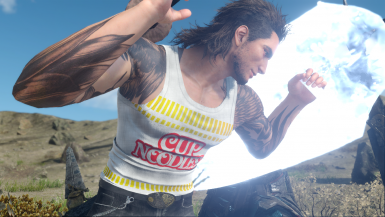 Open up the files" \FINAL FANTASY XV\datas\" and replace folders "character\nh\nh01\model_020" folders. 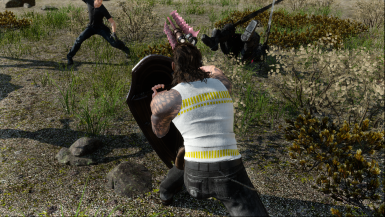 1- Open the mod files until you're in nh01 and see the earc. files. 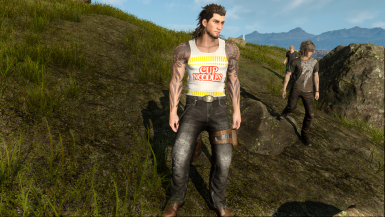 2- Go to your FFXV game files location and go all the way down into \FINAL FANTASY XV\datas\character\nh\nh01\model_020" and simply replace the files there with the modded ones. Remember to always backup your files first!